June '14. LUX/NL/BE JCH. 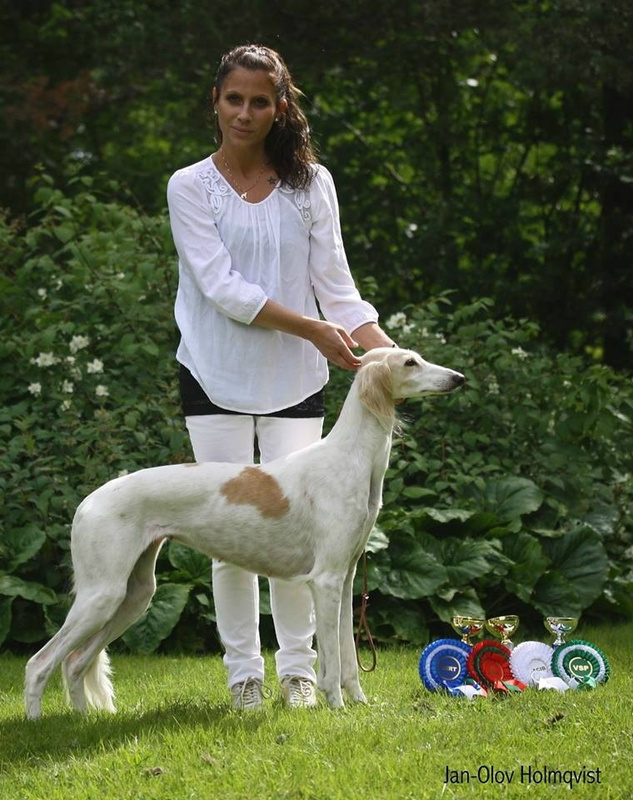 Majo's Pegasus "PRINCE" Amsterdam JW-13 BEST OF BREED at the int. dogshow Uden !! 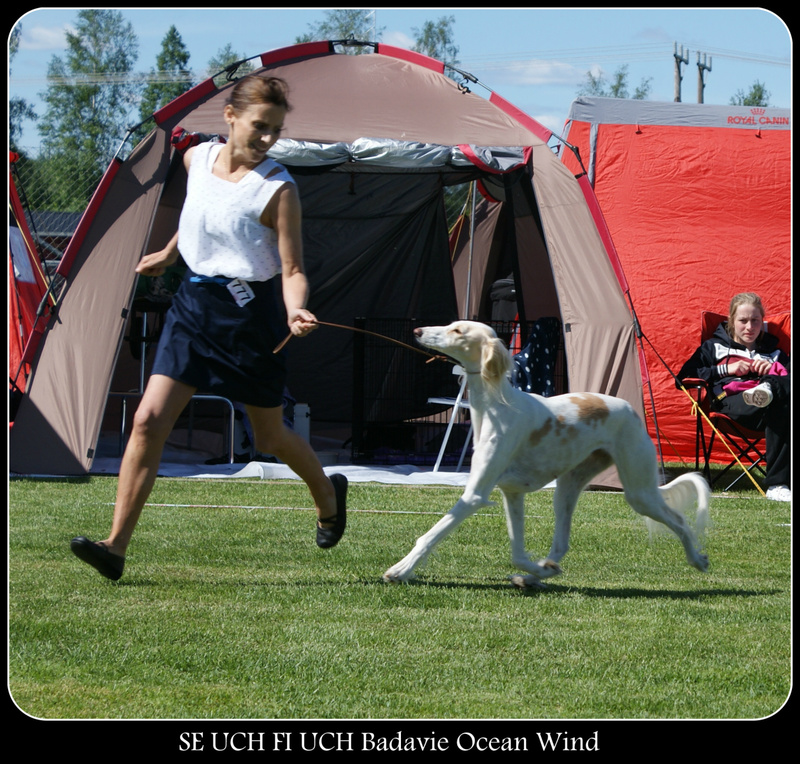 MULTICH JWW-13 Majo's Pegasus BOB CAC & CACIB. 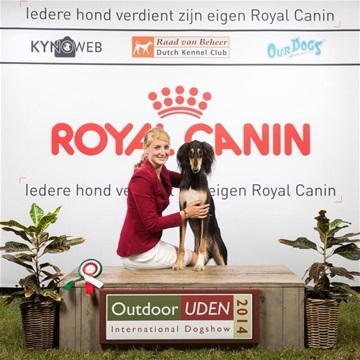 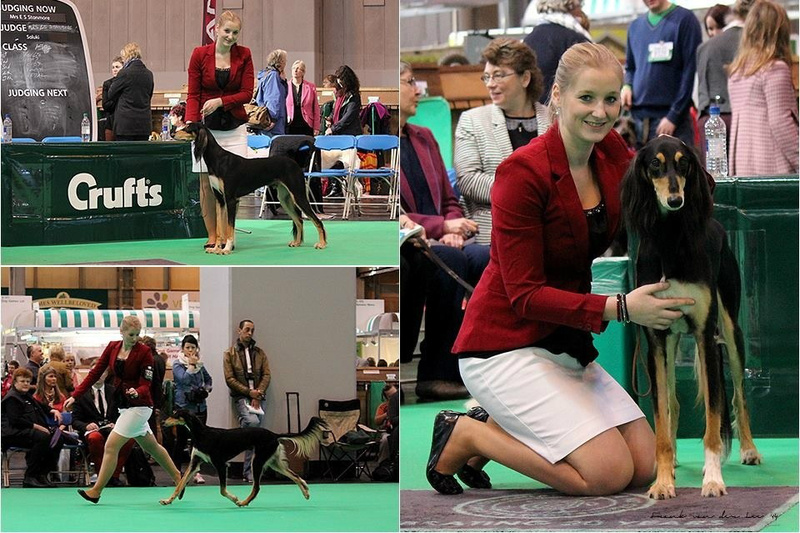 INT DOGSHOW UDEN (NL). 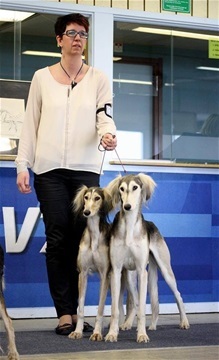 2014-06-22. Majo's Liquorice Sensation, was BOB junior and also, BIS 2all juniors. 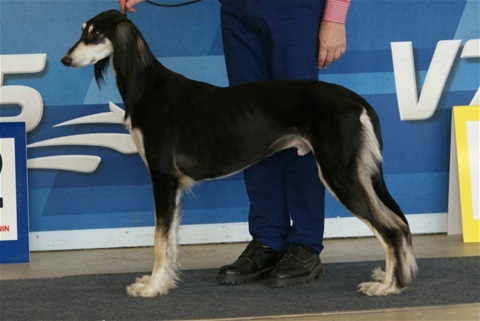 Judge: Marie Gadolin. 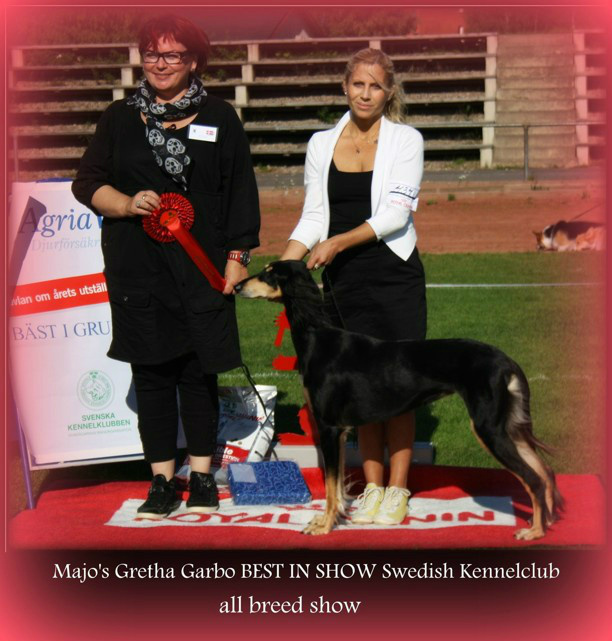 Majo's Liquorice Sensation, 11 months. 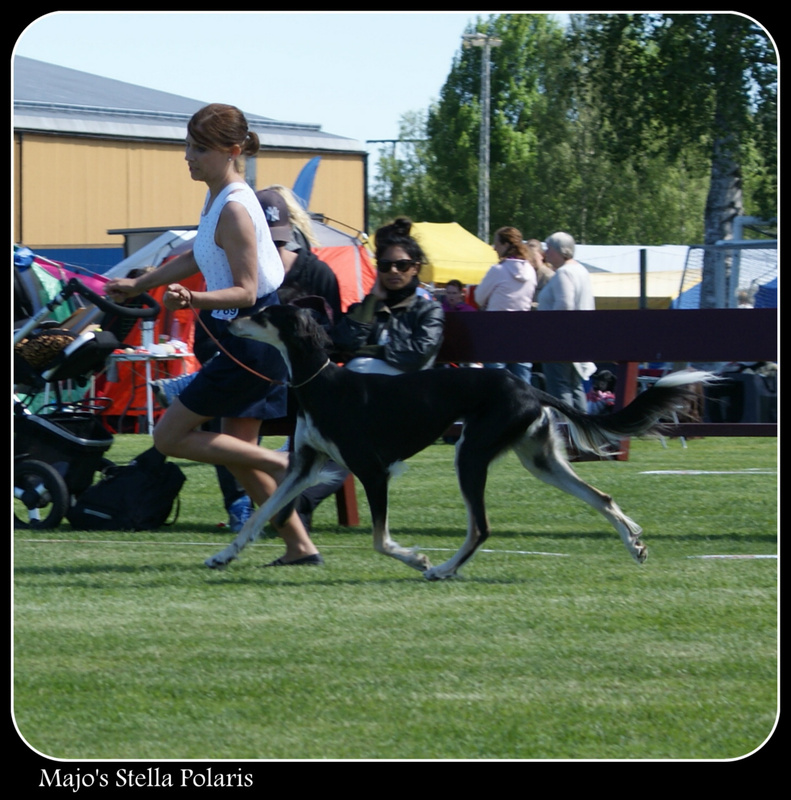 Majo's Stella Nova got CAC (it was the 5 CAC) and BIS 2 intermediate. 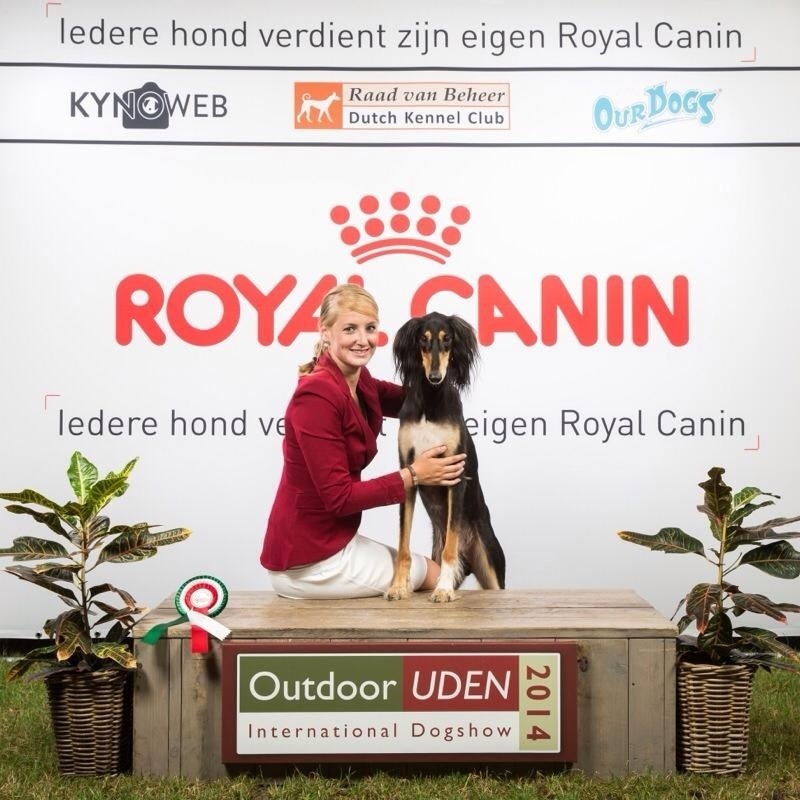 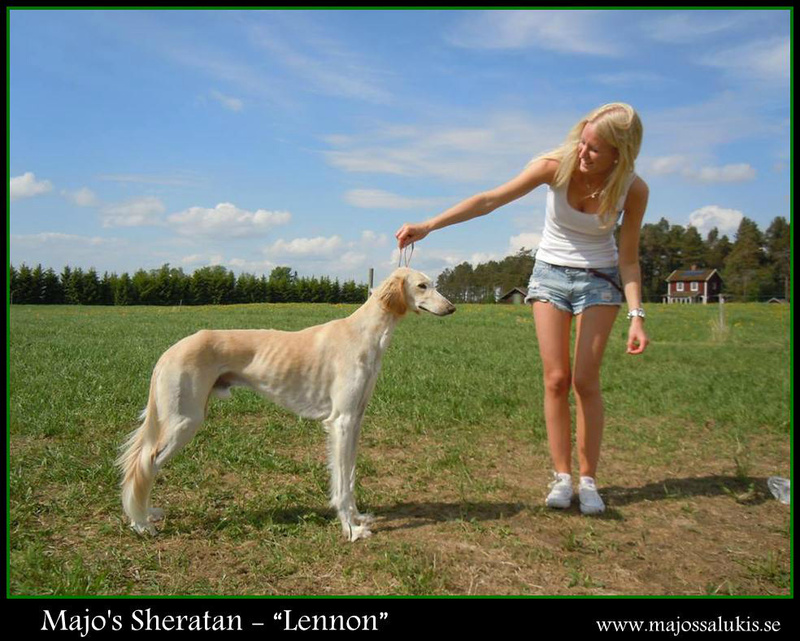 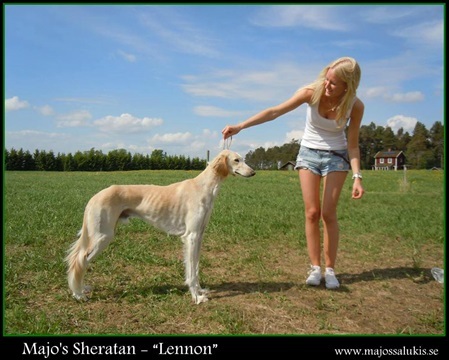 Wonderful news from-Majo's Sheratan "Lennon" which became BOB and BOG "at open show today-Congrats to Maria & Pege. LUX/NL/BE JCH.Amsterdam JW-13 Majo's Pegasus "PRINCE" won VHC at CRUFTS in a strong Yearling class ! 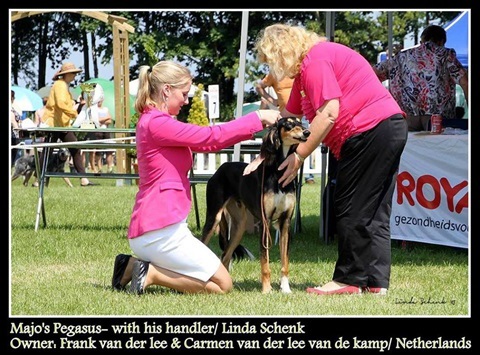 !Congratulations to owner Frank Van der Lee and talented handler Linda Schenk. 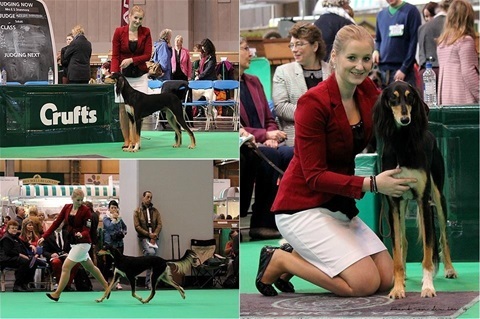 We are so proud breeders. 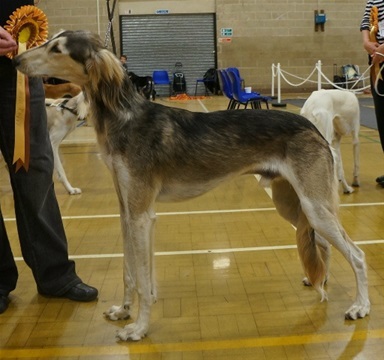 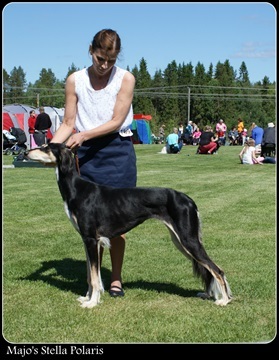 "Sensi" at his first Show, when he became BOB- Saluki puppy , and finaly BEST IN SHOW - all breeds. 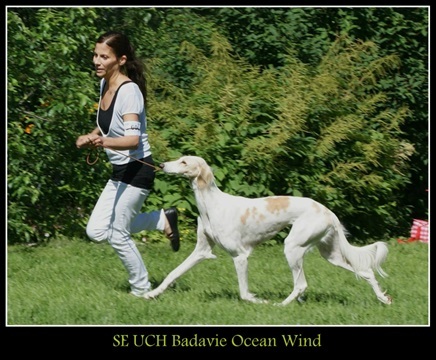 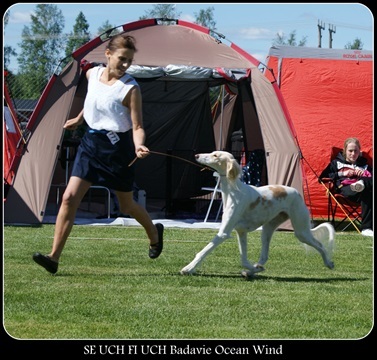 Badavie Ocean Wind becomes even Finnish Champion!!! 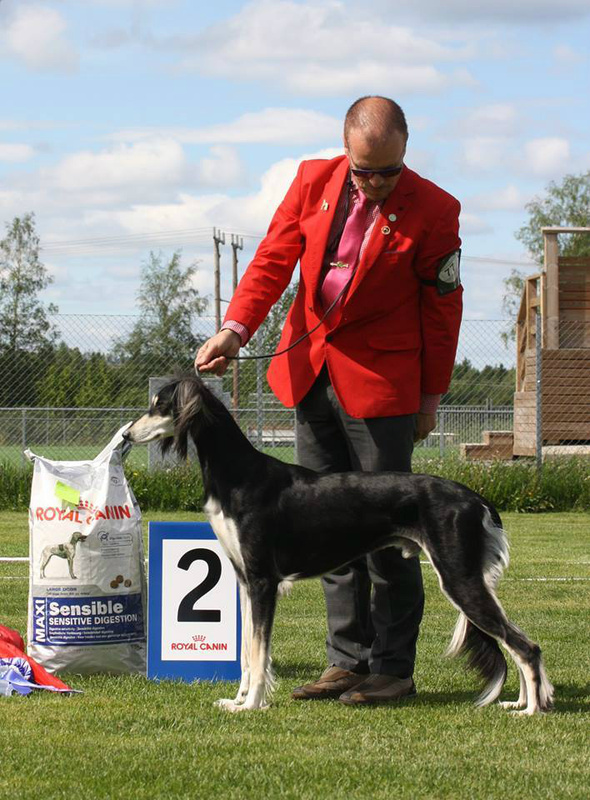 "Suki" at Sighthoundclub summer show in Råneå. 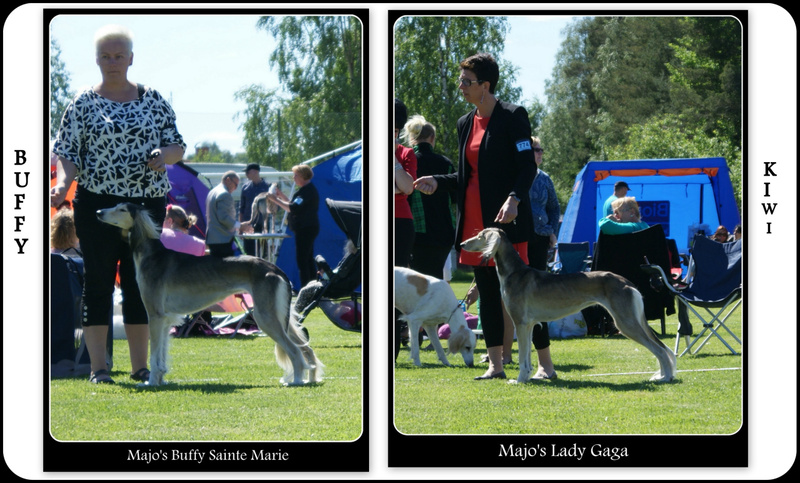 Finest sisters Majo's Lady Gagag & Majo's Buffy Sainte Marie won couple class..... Judge: Nina Neswadba. 2013-06-18. Majo's Lady Gaga - When she got her second cac in vännäs, June 2013. 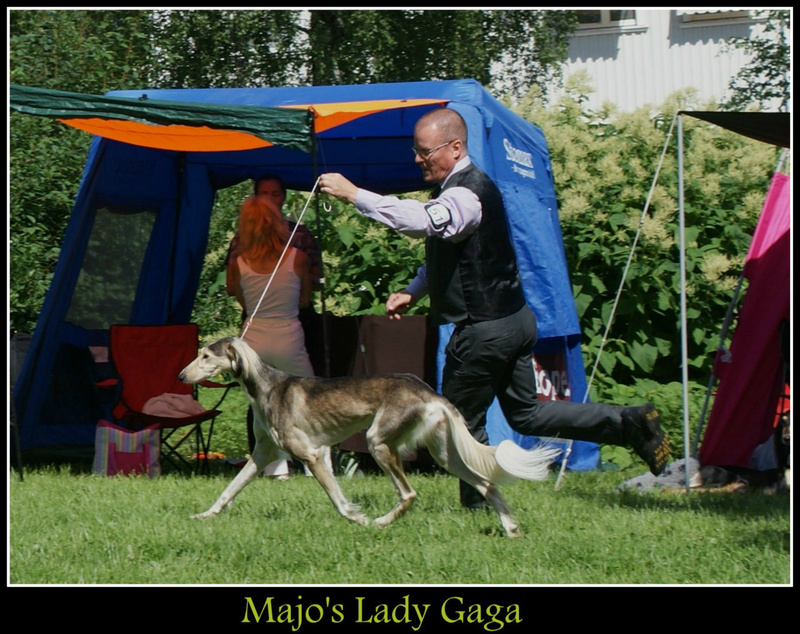 Majo's Lady Gaga 6 ½ months. Svenstavik 2012 BOB puppy and finally BIS puppy all breeds. 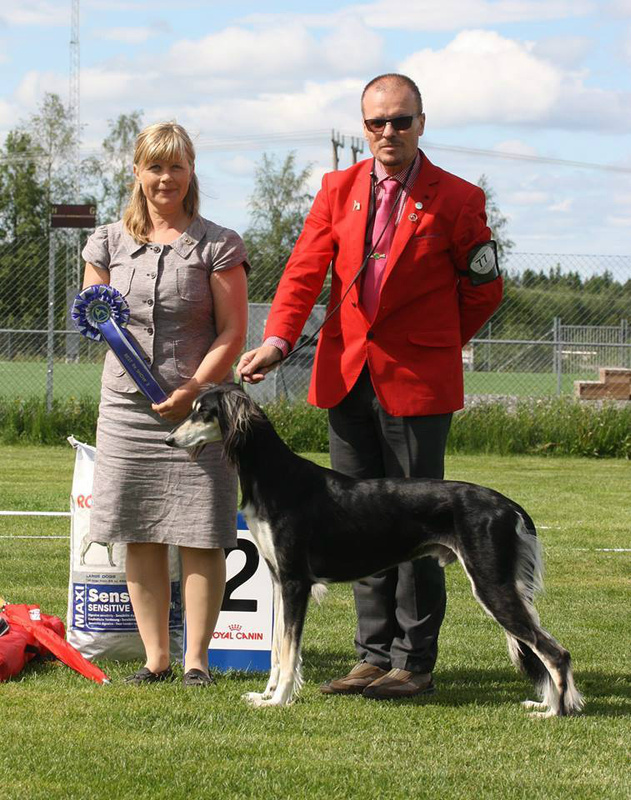 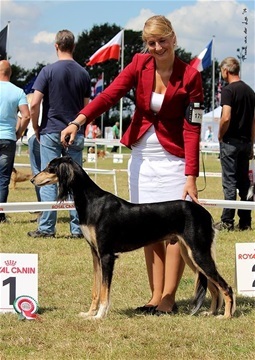 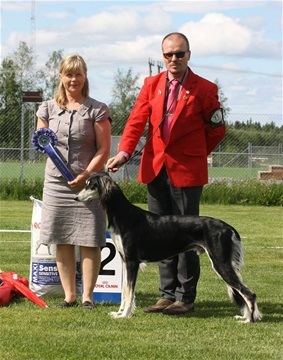 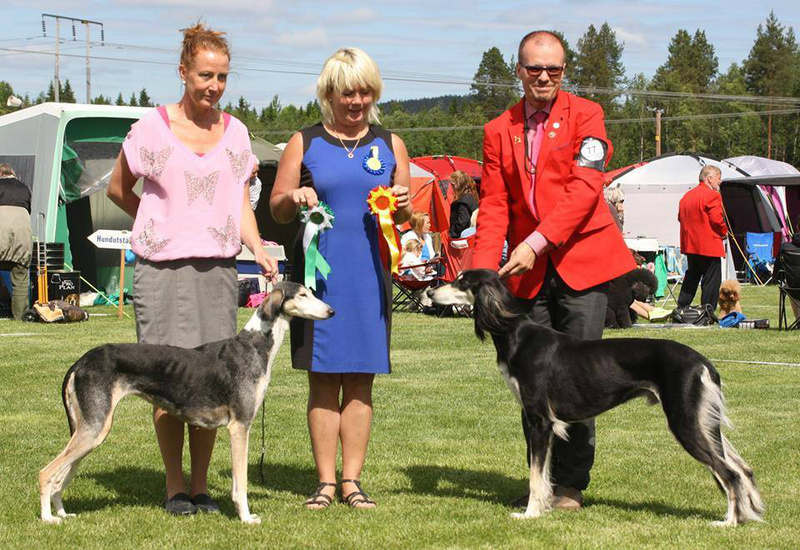 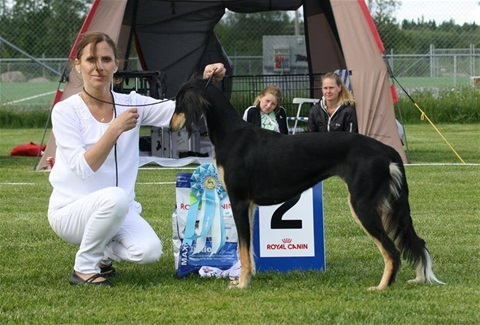 Majo's Prince won the intermediate class , ended up as BOS -youngster At the prestigious Saluki Jubilee Summer Show, in Vilsta. 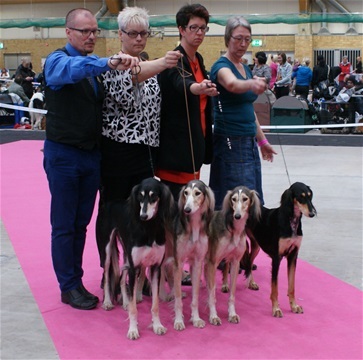 Majo's Liquorice Vanilla BOS and Majo's Liquorice Sensation BOB at Sighthound club Shhow in Boden 29 march. Judge: Nicklas Eriksson. 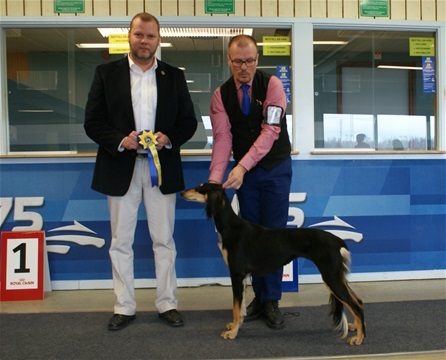 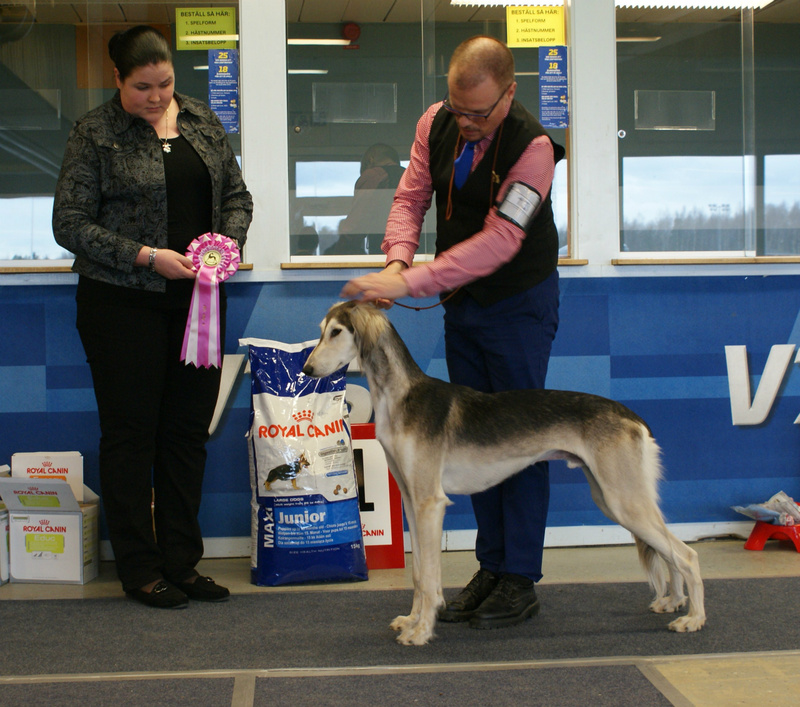 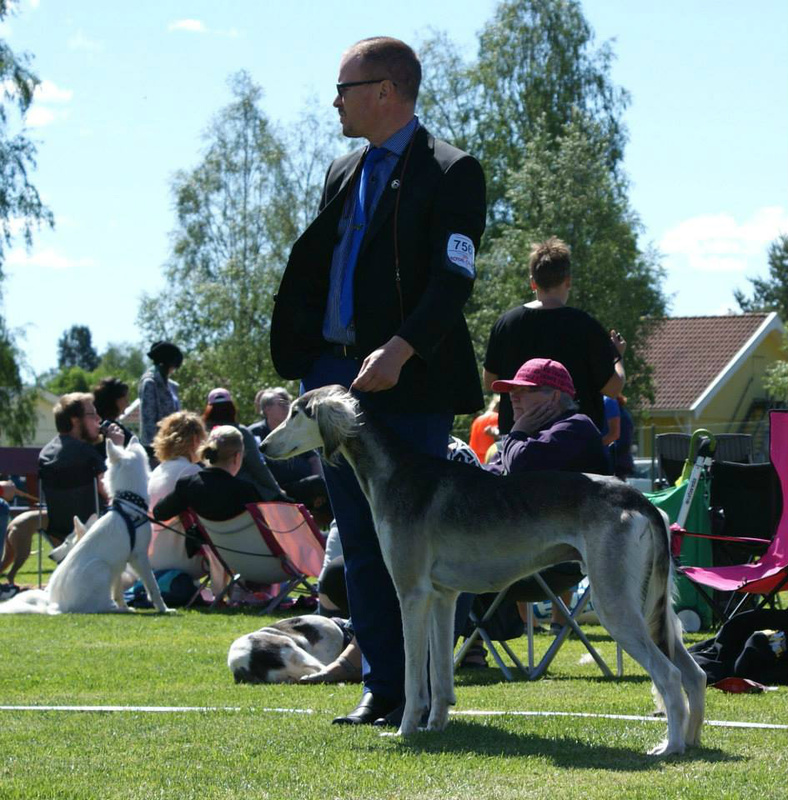 Majo's Salukis Breedergroup, was BEST IN SHOW - Breeder at Sighthoundclub Show in Boden 29 march- Judge: Nicklas Eriksson (Qirmizi Salukis) Photo: Yvonne Mukkavaara. The dogs are, from left: CH Majo's Humphrey Bogart. 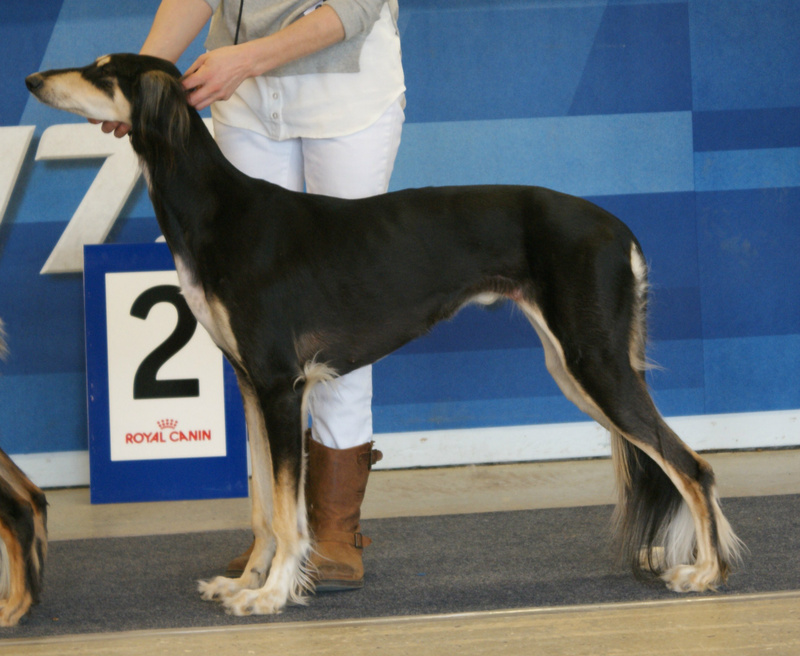 Majo's Hercules. Majo's Stella Polaris and Majo's Stella Nova. 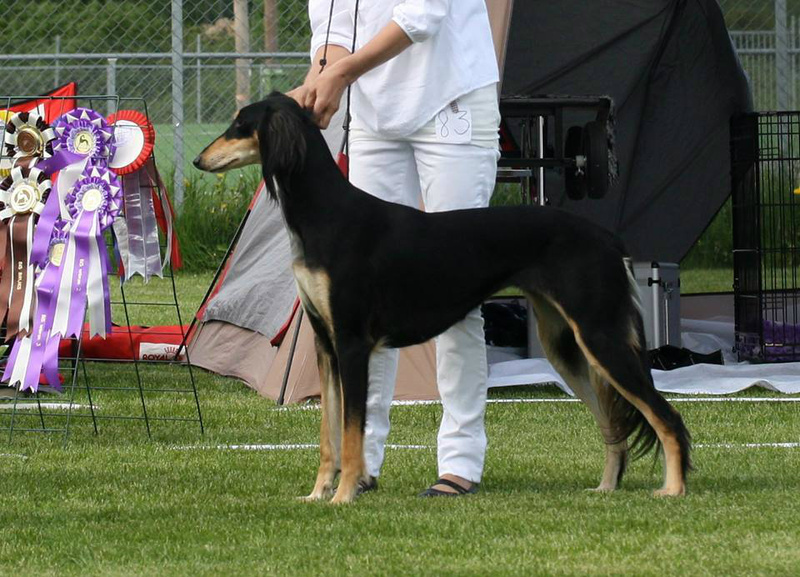 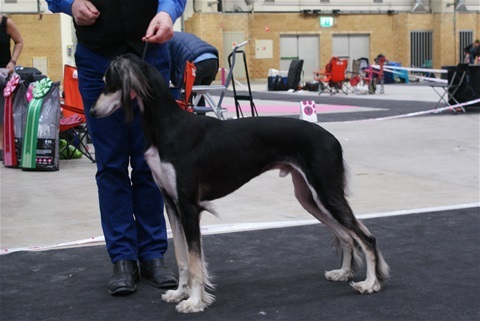 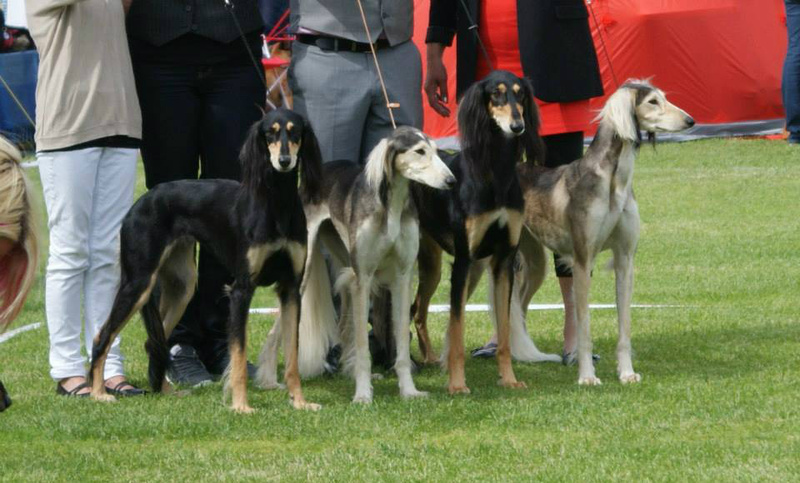 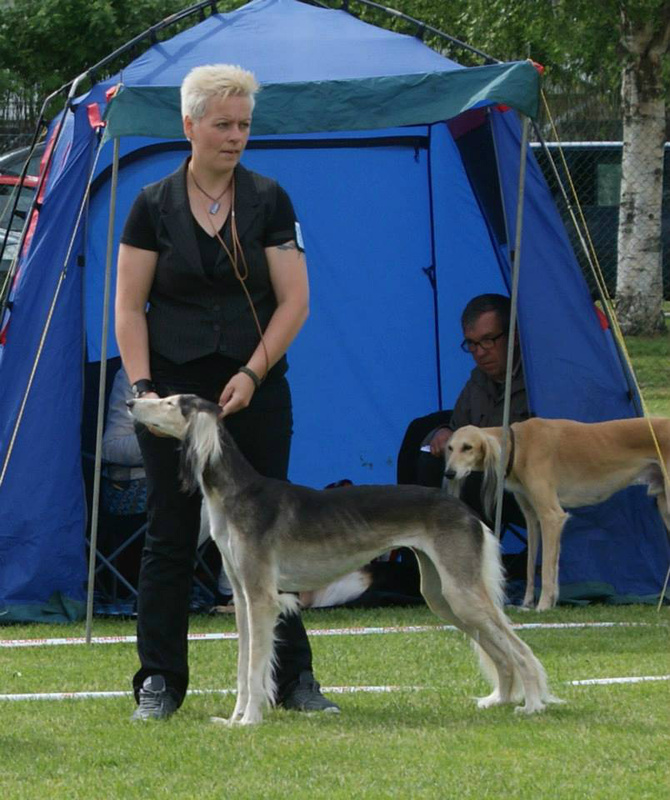 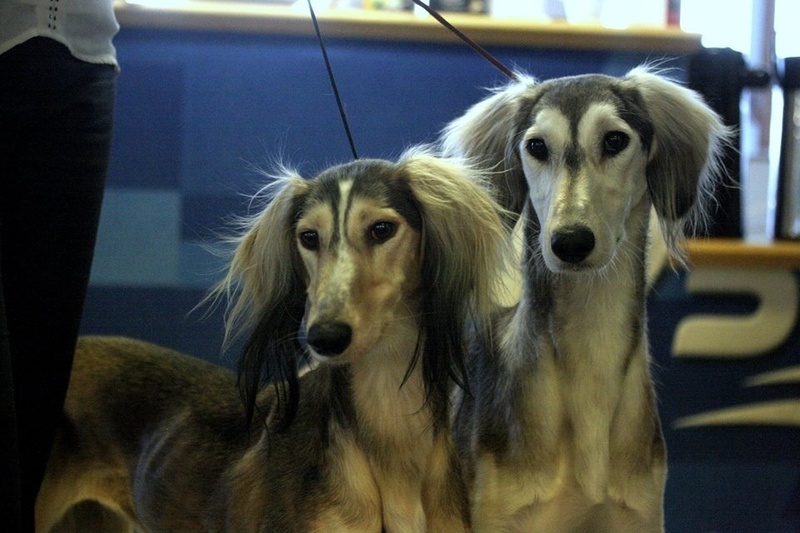 Majo's Liquorice Sensation, BOB & BIS - Puppy, at the Saluki clubshow 30 march 2014. 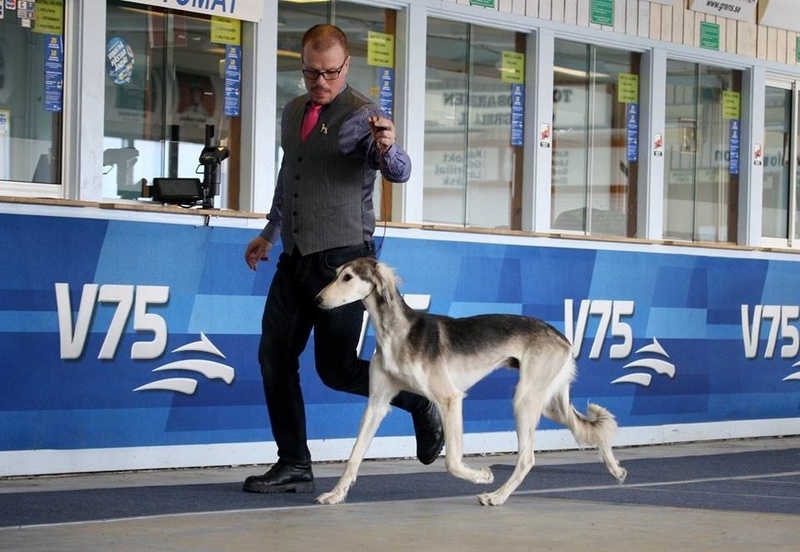 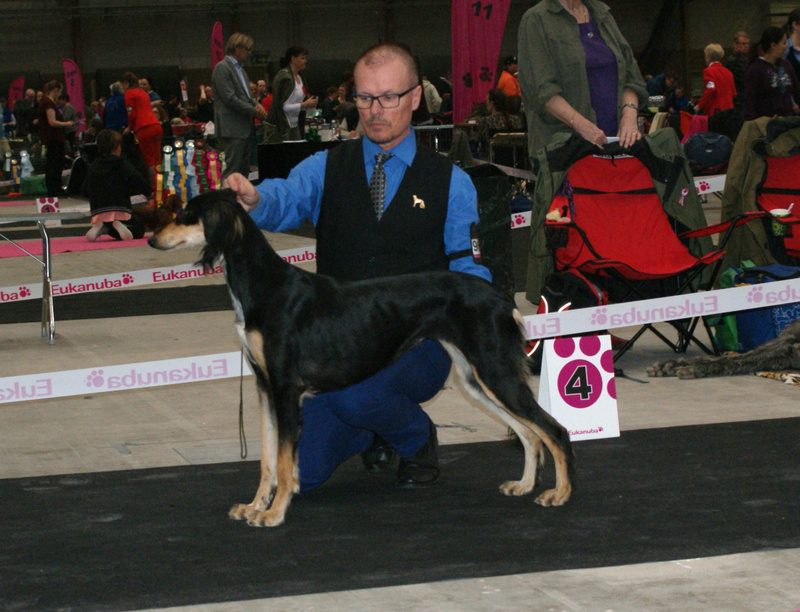 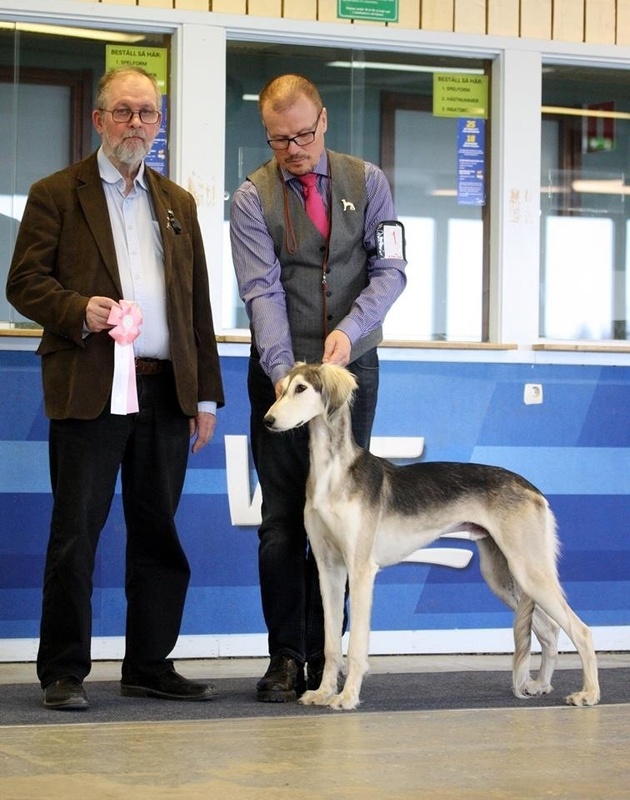 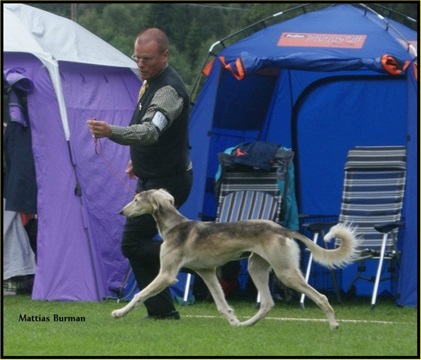 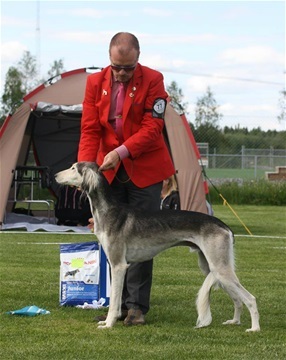 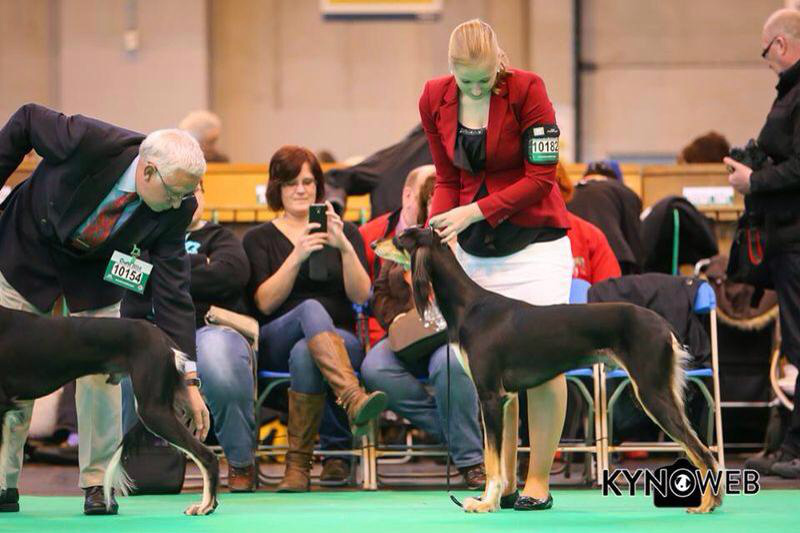 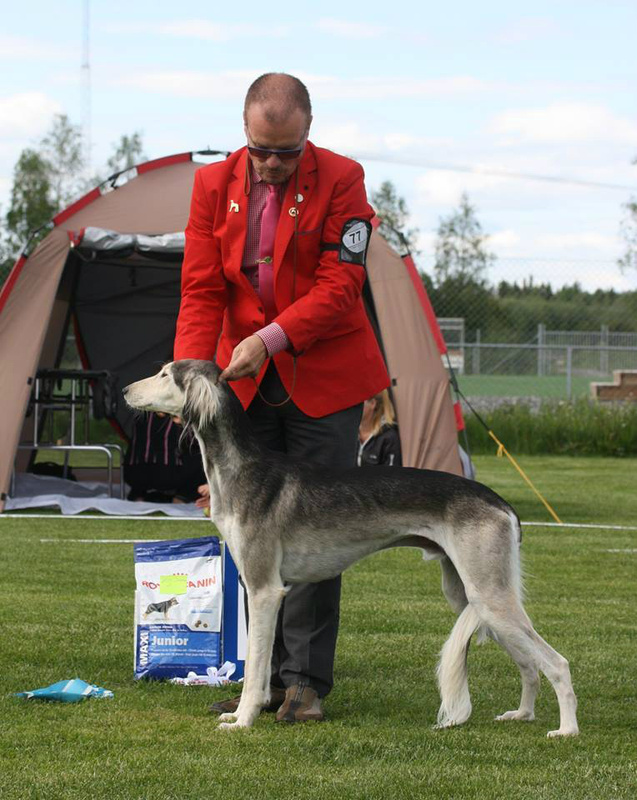 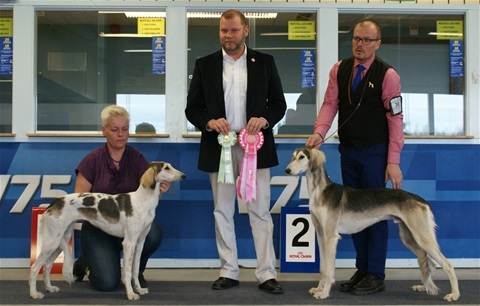 Judge: Christer Edling - Shamali Saluki. Majo's Lady Gaga & Majo's Liquorice Sensation - was second couple/ 2014-03-30. 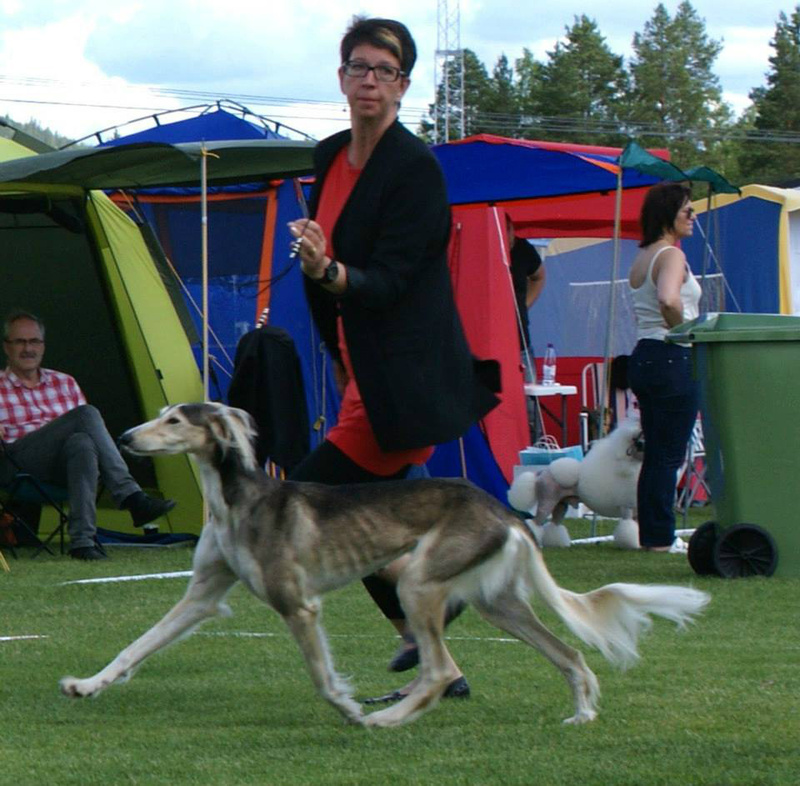 Anna Wikström and Majo's Lady Gaga & Majo's Liquorice Sensation at coupleclass. 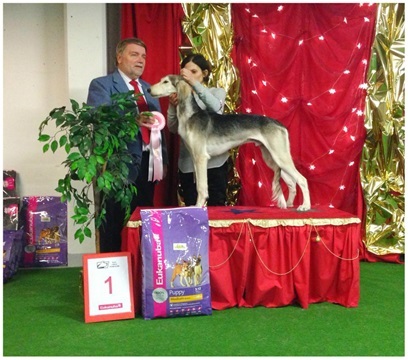 2014-03-30. 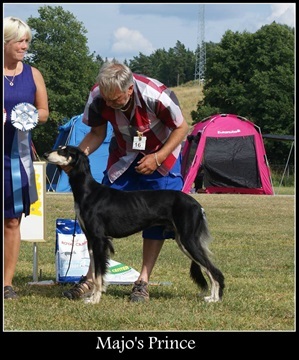 BOB and BOG 3 Majo's Hercules - BOS Badavie Miriel. 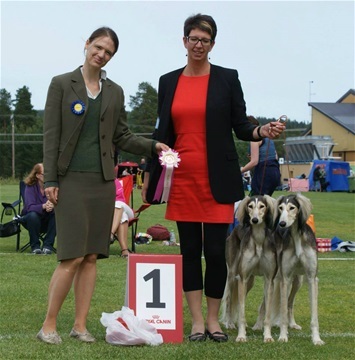 Judge: Birgit Wamberg. 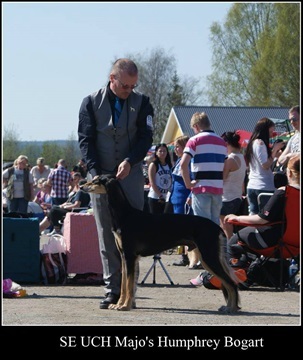 Sundsvall 12 april- 2014. 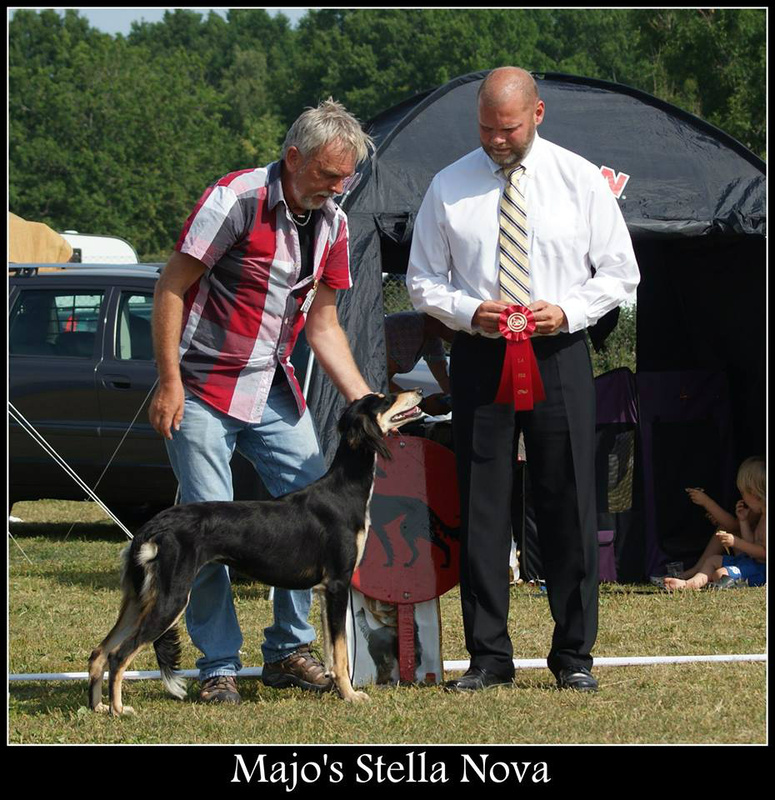 Majo's Stella Nova. 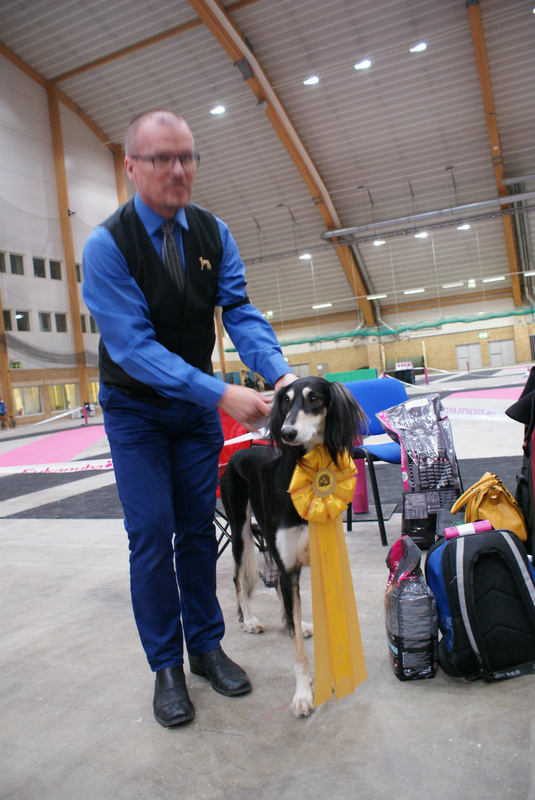 Sundsvall 12 april 2014. 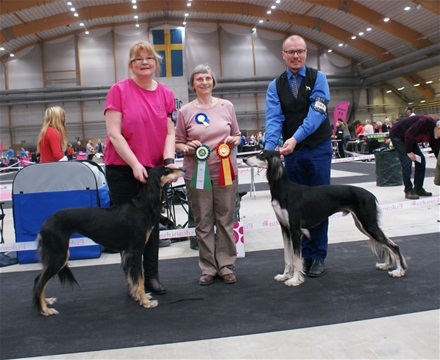 Judge: Birgit Wamberg Danmark. 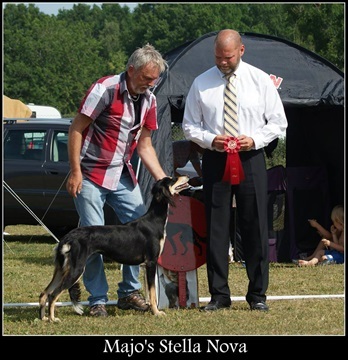 Majo's Stella Nova got her 4th CAC. Sundsvall 12 april 2014. 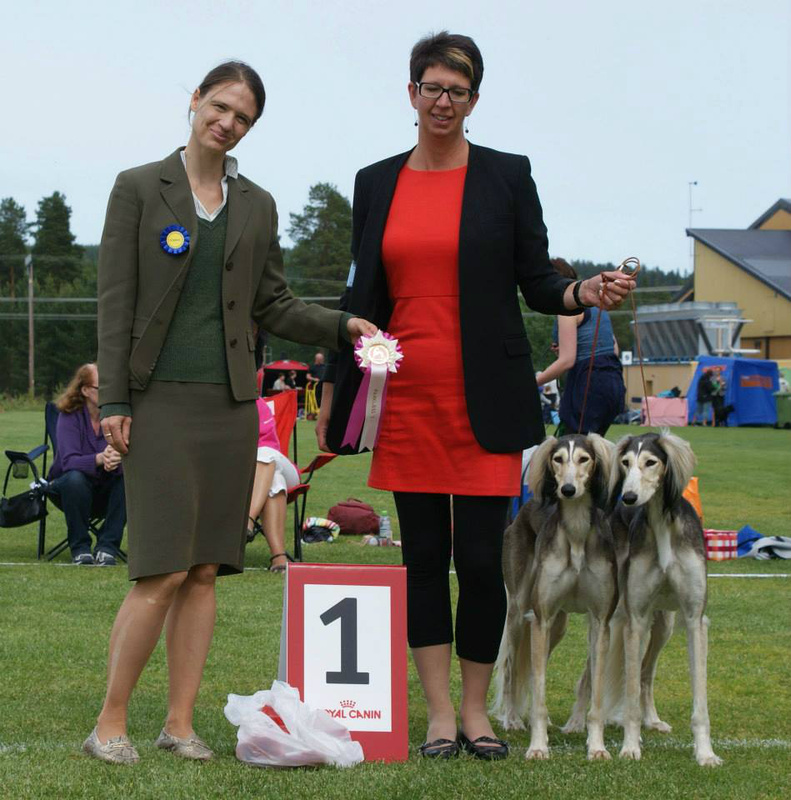 Judge: Birgit Wamberg - Danmark. 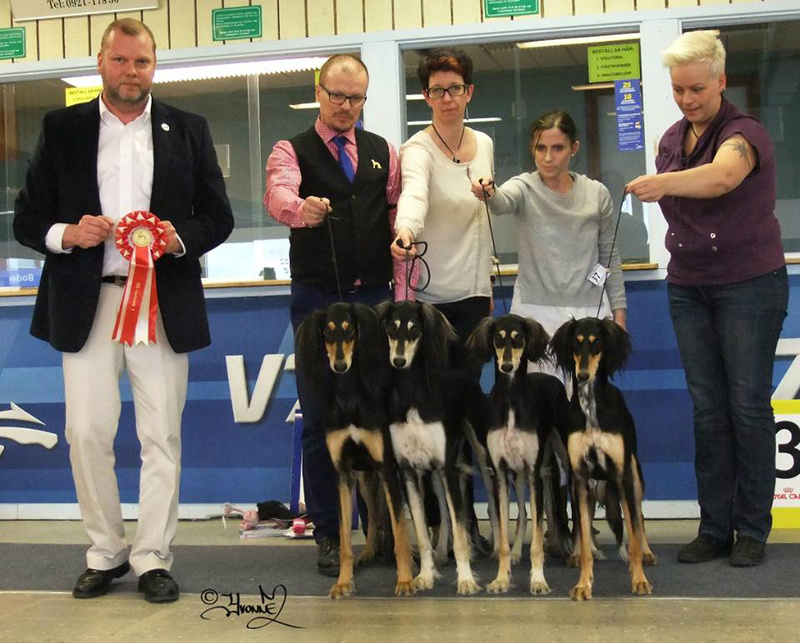 Sundsvall. 12 april 2014. 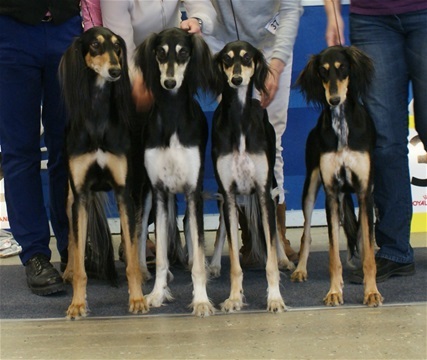 BIS 3 breeder group. 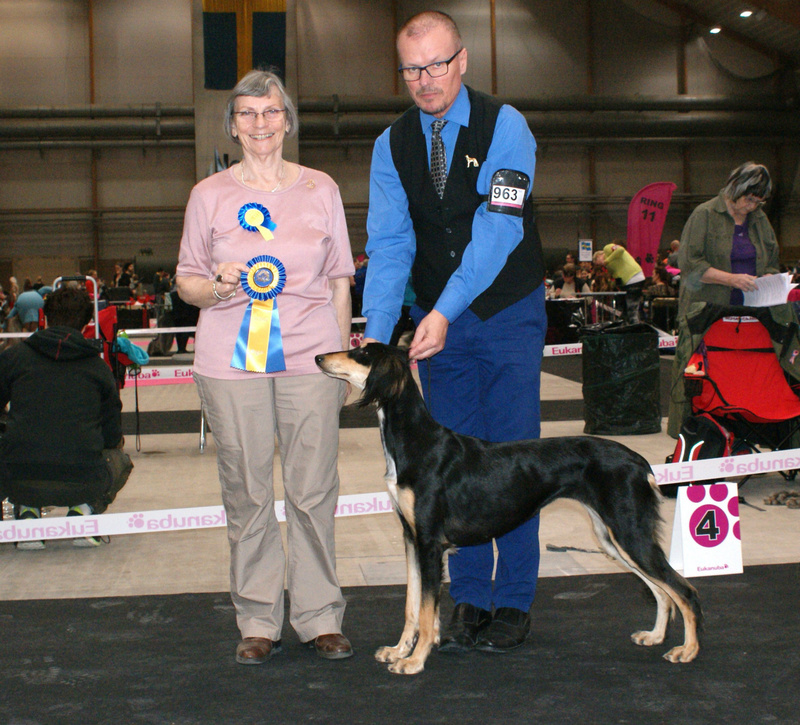 Judge: Kerstin Nilsson. Majo's Hercules BOB and BOG 3 Sundsvall SKK 12 april 2014. breedjudge: Birgit Wamberg. Groupjudge: Michael Forte - USA.